Dog fighting is illegal and a cruel sport, the dogs face harsh environments and training by their owners. 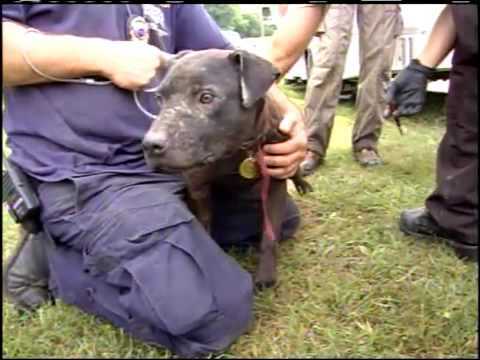 Every year more than 5,000 dogs are killed in illegal dog fighting and the owners simply get a new dog. The Humane Society of Missouri managed to rescue more than 400 dogs involved in the largest dog bust in history. The undercover sting operation found dogs in inhumane conditions that left the officers in tears. A majority of the dogs rescued were brought back to health but many were untreatable and suffer from broken bones or permanent wounds.